Chapel Hill Post punkers Polvo have a new album coming out Oct. 1 on Merge called Siberia. I’d forgotten all about these guys. Do you remember Jawbox? 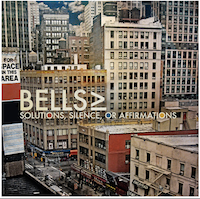 If you were a fan, you may want to check out BELLS≥ Solutions, Silence or Affirmations (self-released). Info: “Former Jawbox drummer Zach Barocas, guitarists Stephen Shodin (Blood City, Coup Fourre) and Chris Ernst, cellist Gordon Withers (Office of Future Plans, et al.) and producer/bassist J. Robbins (Jawbox, Burning Airlines, Channels, Office of Future Plans) have created an album marked by its heft and grace. D.C. bass duo Argos contributed basses on “Promenade.” Tom Broucksou (Chumps, Gung) will handle bass duties live and moving forward.” The whole album is being streamed on their bandcamp page, here. It’s worth checking out. Finally, in this week’s column, answers to what’s happening with the bees. I’m not talking about a band called “the bees,” I’m talking about the insect. Have you noticed that there aren’t any bees anymore? One of the area’s per-eminent exports on bees explains what’s happening and what we can do about it. It’s in this week’s issue of The Reader or read it online right here. Right. Should have said “…coming back to Omaha, this time to the Waiting Room.” I think I first saw them at Sokol Underground about a decade ago.